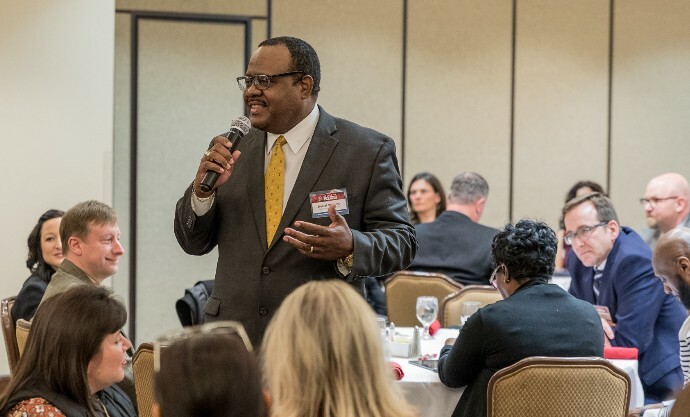 Social and Emotional Learning (SEL) has grabbed national attention as educators come to realize the need to foster strength and resiliency in students along with academic skills. 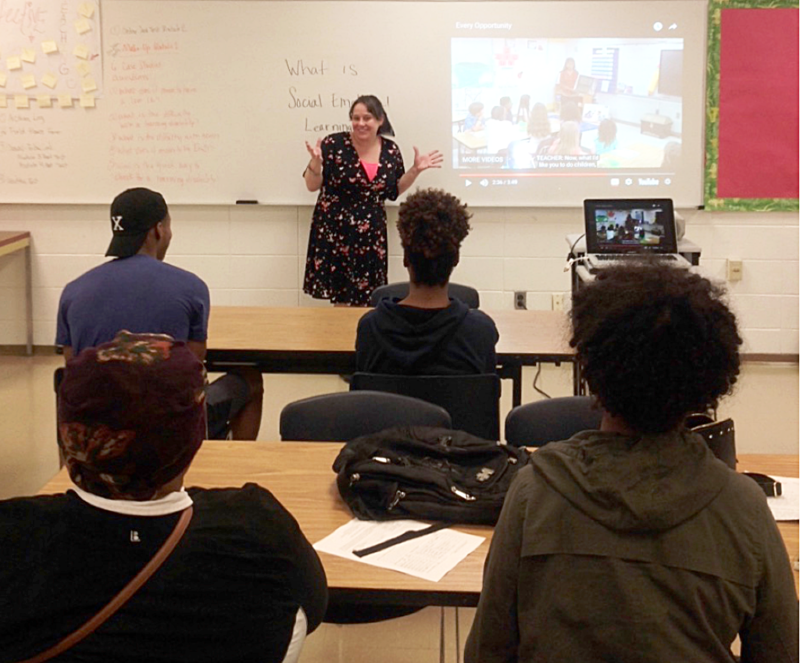 At Jackson State University, a group of faculty and their partners in Jackson Public Schools have gotten together to create a Social/Emotional Learning in Teacher Preparation program geared specifically to the needs of the teacher candidates and K-12 students they serve. Funded by an Innovation Pilot grant from the US PREP National Center, the faculty team developed three sets of learning modules available in an online platform. 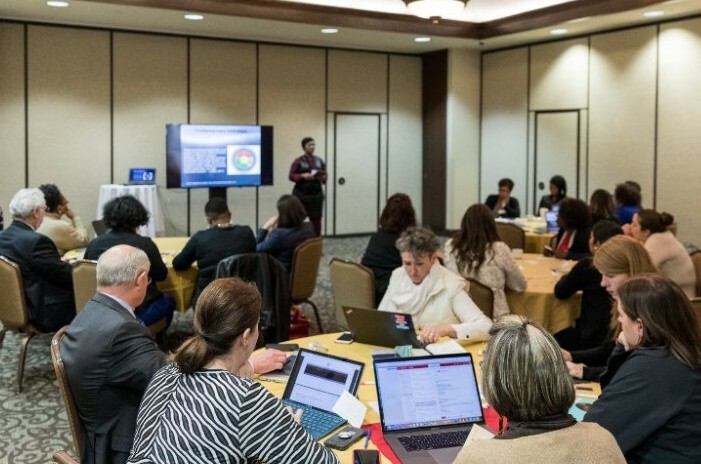 They connected the content with Jackson State University courses, public school field experiences, and the Jackson Public Schools behavior intervention program. The modules begin with self-reflection, continue to assessment of SEL, and proceed to classroom applications. Each module has a pre- and post-test and is comprised of 20 concept assignments. For example, the SEL concept of empathy is addressed in one assignment. Teacher candidates begin by viewing a short video and then engage in a written reflection. According to Melissa Ausbrooks, the team leader, the group knew they had to engage the teacher candidates on the SEL learning modules, to let them see the modules “not just as another assignment, but as knowledge they are hungry to learn.” Working with focus teacher candidates in the development process, Dr. Ausbrooks found that powerful videos could provide such engagement. Self-Awareness is basic to SEL, and the videos prompted discussions and responses from teacher candidates leading to introspection. The first video the teacher candidates viewed was during a face-to-face orientation. The video portrayed two school environments. In the first episode, students were dismissed, reprimanded and ignored, receiving the message that they do not matter. In the second episode, all school personnel from the principal to the cafeteria worker welcomed the children to school and let them know they were valued. After viewing the video, one student exclaimed, “That’s why I’m here!” Dr. Ausbrooks knew she had him hooked! All teacher candidates reflected on their experiences as students and were able to relate those experiences to their decision to become teachers. The orientation session enabled them to look inside themselves as they began their study of social and emotional learning. The focus of the pilot at Jackson State University to date has been in program development. Faculty members have created a set of high-quality modules that they have tested with pilot groups and have developed a system of implementing the modules in three specific courses. An assessment system is in place to capture results. In conversations with Jackson Public Schools, plans are being discussed to train building principals on the SEL modules. Faculty members from other US PREP institutions have inquired about sharing the modules across universities. The materials used at Jackson State University are all either created in-house or are open source materials. Social/Emotional Learning in Teacher Preparation beyond Jackson State? A possibility!